After a devastating physical injury, you might have read that you can receive compensation for “loss of consortium.” But what exactly is loss of consortium, and who can bring a claim? In Florida, spouses and children of injured accident victims can receive compensation, but they should meet with an experienced Delray Beach personal injury lawyer to evaluate their claim. You can no longer enjoy activities with your spouse, such as hiking, camping, playing tennis or golf, etc. Your spouse can no longer go out in public with you. If a spouse is in a coma, he or she can no longer talk to you or be a partner. Your spouse might be unable to have sexual relations. How Much Can I Obtain? A jury will determine the amount of compensation a spouse can receive. Because the loss of comfort, care, society, and sexual intimacy is hard to measure in dollars and cents, the amount that can fully compensate you is somewhat speculative. Nevertheless, the jury can award any amount it wants. In practice, though, loss of consortium claims are not very large unless your spouse has suffered a truly catastrophic injury like paralysis or is in a coma. 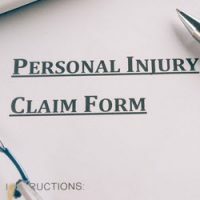 The amount available to you depends on a variety of factors, so you should meet with a Delray Beach personal injury lawyer to investigate the particulars of your case. Are there Situations Where I Should Not Bring this Claim? Yes. Filing a claim for loss of consortium opens your marriage up to inspection. The defendant in any lawsuit can ask intimate questions about the state of your marriage, including your sexual history, any infidelity, and whether you have ever attended marital counseling. 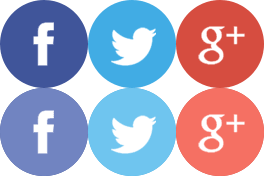 If you are afraid of embarrassing information coming to light, then you might not want to bring a loss of consortium claim. Feel free to talk about any concerns with your lawyer. Can Children Bring Loss of Consortium Claims? After a devastating crash, all eyes naturally go to the person who suffered the physical injuries. Nevertheless, spouses and children are dealing with their own losses, and they are entitled to compensation in certain situations. To find out more about whether you have a loss of consortium claim, contact Earnhart Law in Delray Beach today for a free consultation.